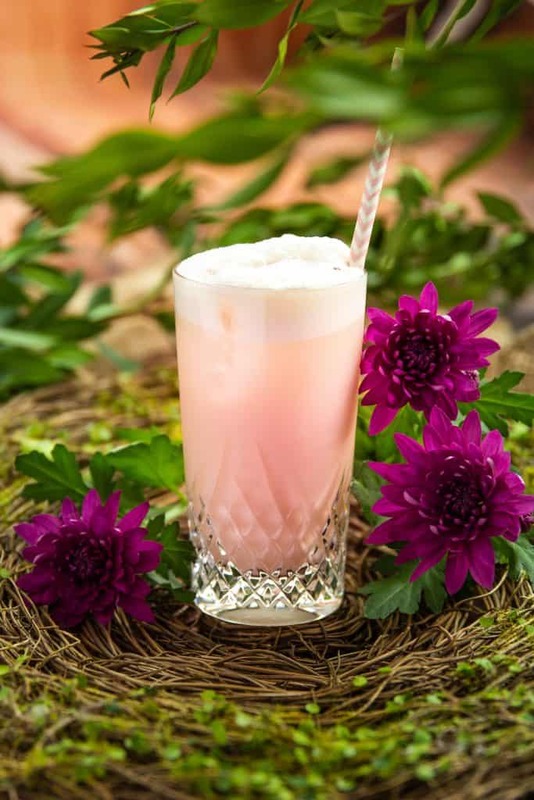 The Woody Rose is a cocktail inspired by Aaron Hatchell and his hometown of Woodstock, Ontario. Seeing as it is a dairy capital of Canada (I DID not know this, and I’m Canadian! ), it structured the cocktail I’m featuring today. It uses local Prince Edward County Kinsip’s Gin, Kinsip’s Whisky Barrel Aged Maple Syrup, with a hibiscus and pink peppercorn infused cream. You can never go wrong with a Ramos Gin Fizz, and this turned into one of my favourite sips of the year! The drinkstagram community came up with the #CityCocktailChallenge, which is a challenge amongst members to come up with cocktails based on the nominators city. Aaron nominated myself and he was raised in Woodstock Ontario. This challenge made me realize that I need to travel within my province a lot more. Little did I know that the Diary Capital of CANADA is Woodstock. I would have sworn it was somewhere in Quebec! So thank you Aaron for teaching me a little bit more about this wonderful country. I had to do a bit more digging when it came to Woodstock, Ontario, and I’ll have to admit, I struggled with this. What I did managed to find was that they host the famous Cowapolooza Woodstock festival each summer. Talks of flower childs and hippies were thrown around all over the internet which lead me to my next flavour component; Hibiscus. 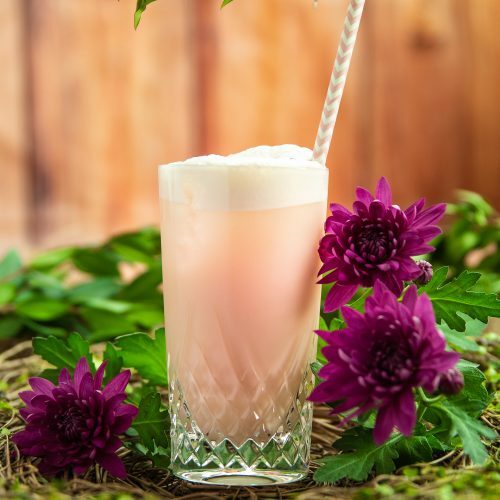 A Rose infused Ramos Gin Fizz just seemed like the obvious choice, but I added a few unique twists. This cocktail uses a gin from a local distillery called Kinsip. I have yet to visit the establishment, but it’s on my to do list on my next adventure in Prince Edward County. I had picked up their product from Toronto’s Cheese Boutique, and fell in love with their Gin and the Whisky Barrel Aged Maple Syrup. I decided to use both these products in the cocktail featured here, because why not feature an Ontario Gin, and I don’t think I need to explain the significance of Maple Syrup to Canada. Aaron, I hope I made you proud with this cocktail, and I’m sure you will love it as much as I did! A classic Gin cocktail that's transformed and inspired by Aaron Hatchell. The Woody Rose includes Kinsip's Gin and Barrel Aged Maple Syrup, with grapefruit, rose water and a pink peppercorn and hibiscus infused cream. In a shaker, combine all ingredients except soda and give this a dry shake. Fill shaker with ice and shake vigorously until it is too cold to the touch. Double strain in collins glass with ice and let this rest for 30 seconds before topping up with soda. *To infuse the cream, you will need 1 cup of heavy cream, 1 tbsp Pink Peppercorns and 2 tbsp of Dried Hibiscus. Toast the pink peppercorn until you smell a slight aroma in small saucepan, add cream until it reaches a light simmer and stir in Hibiscus. Let this come to room temperature before use.